Quentin Pickard has provided this photo which he took around 1980. 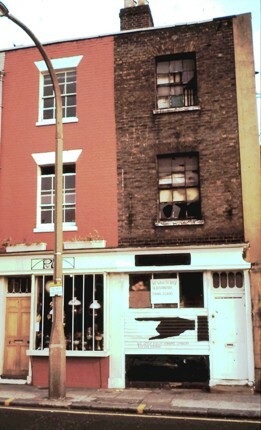 The two properties in the photo were part of a terrace of four, each with a frontage of 11' and were in 'poor condition' in 1915. 30 years on, Quentin wondered whether the properties had been demolished, but a check on Google Street View shows the four terraces (131-134) and numbers 129 / 130 still standing at that time (2008? ), the whole area having been acquired by the Geneva Group. Read more about properties in this area..